The appointment with the driver will be in the lobby of your hotel or to the address you provided. You will seat in our elegant and comfortable sedan or van. 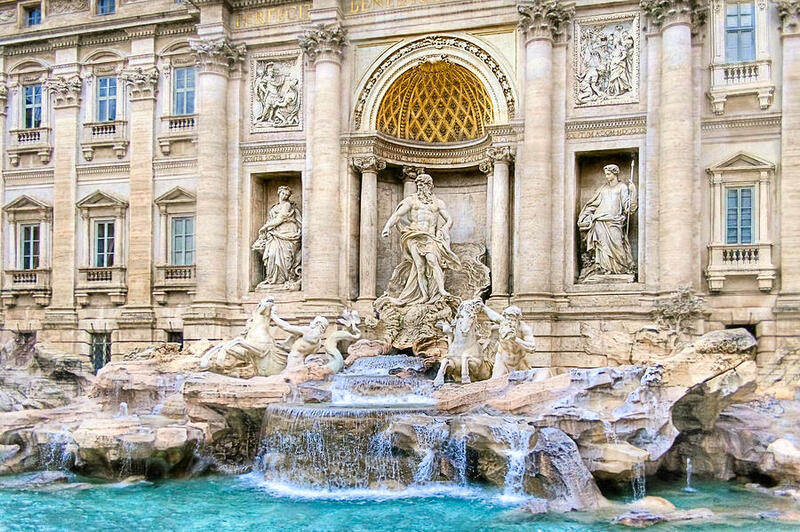 From that moment you just have to relax and enjoy your trip through tour the history and art of the Eternal City. We will start with the Visit of the Colosseum (the Flavian Anphitheater). 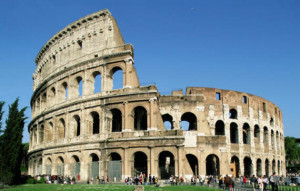 The construction began under the Emperor Vespasiano in the 72 AD and was completed in the 80 AD under the emperor Titus. The Anphitheater could hold about 55,000 spectators. We will stop here for approximately 1 hour. From the Colosseum we will move to the Venice Square where you will admire the tomb of the Unknown Soldier or Altare della Patria and the balcony where Benito Mussolini spoke to the italian people and made the speach of the declaration of World War II. 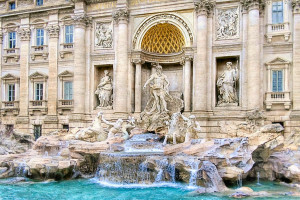 Our tour will continue with the visit to the most famous fountain in the world: the Trevi Fountain, which was built in the 1762 and designed by the architect Nicola Salvi. From the Trevi Fountain we will reach the Spanish Steps (built for the Jubilee of 1725) and Spanish Square where it is possible to admire the commemorative column of the Immaculate Conception erected in the 1856 by Pius XI and the Barcaccia, designed by Pietro Bernini father of the great Gian Lorenzo. Before moving to the Vatican Area we will stop to the Pantheon, considered the best preserved Roman building to have survived trhought history. This is because it was converted into a Christian Church in 609 AD (Sancta Maria ad Martyres). The original temple was costructed in the 27 BC. Our last stop will be St’ Peter’s Square where you can admire the Dome St Peter’s, 42 m in diameter, with a total height including the Church below of 132,5 m and the Bernini’s colonnade that consist of two imposing porticoes with quadruple rows of Doric columns.